In the last 2 years, my family has taken 7 vacations specifically evolving around visiting National Park units. Our itineraries have one thing in common: they are built to maximize our time visiting the great sites in the National Park Service system! I get a lot of questions around how I plan my family’s National Park adventures. 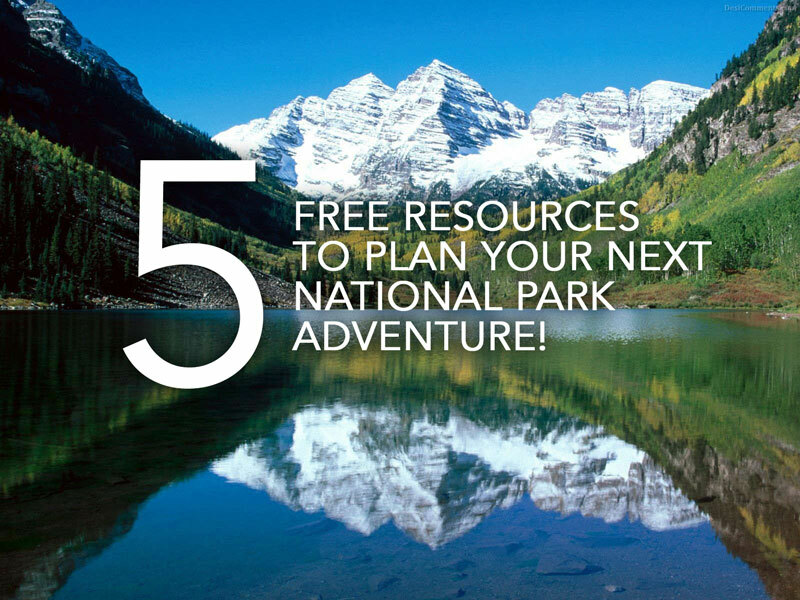 Here are 5 completely free resources that I use when planning our itineraries! There are over 400 units of the National Park Service but only 59 of them are considered National Parks. For a full list of the many different types of Official National Park units visit this page. When planning our family’s next adventure I typically center my planning around visiting a specific National Park from the list of 59. The best way to do that is to use this map and feature on the National Park Foundation website. While my family’s goal of visiting 100 National Park units by 2020 does not specify the number of Official National Parks visited, we want to visit as many of them as possible! So this tends to be my first step when planning our next trip. Find a National park from the 59 and then plan around it. This was the case when planning our next adventure in a couple of weeks to Shenandoah National Park! Once I have identified the National Park we want to visit, I start familiarizing myself with the other National Park units that are nearby. The National Park Service offers a very nice page on their website that allows you to quickly and easily search National Park units by state. There are over 400 National Park units in the country and the odds are there is one near the National Park you are visiting. When we visited the Great Smoky Mountains National Park last year we discovered the Andrew Johnson National Historic Site was less than an hour away! And earlier this year when we visited Everglades National Park we discovered we would be driving right past Canaveral National Seashore on the way home. 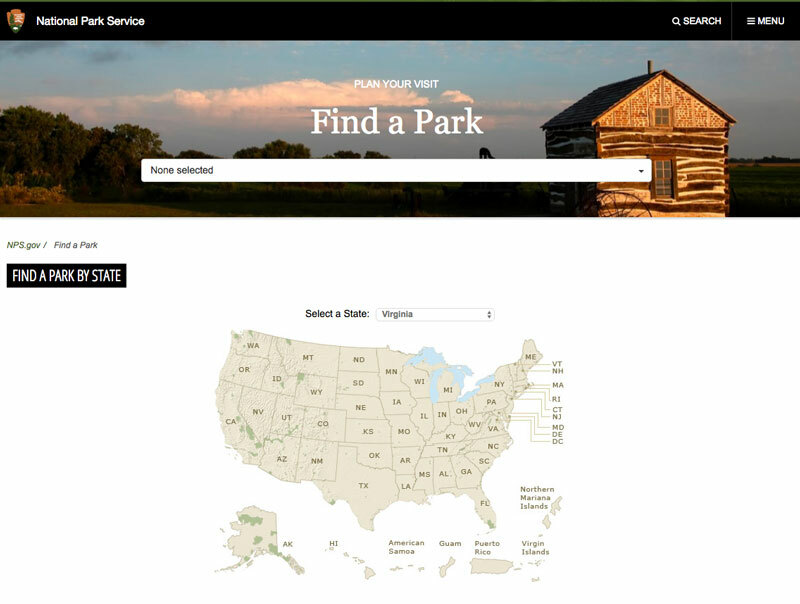 Find your park here: https://www.nps.gov/findapark/index.htm! There are many great apps that give you information about National parks and I have tried them all. While the National Geographic National Park app features gorgeous photography and the Chimani National park apps offer in-depth info specific to each National Park, my favorite go-to app is the Oh Ranger! National Park Finder app. The Oh Ranger! 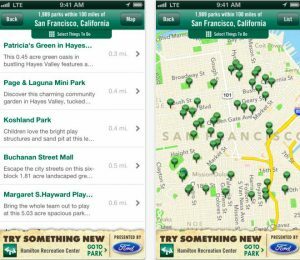 ParkFinder App is incredibly useful because it gives all the detailed information you need about the parks while on the go: where the bathrooms are, are there playgrounds, which parks are good for horsebacking or swimming or hiking. 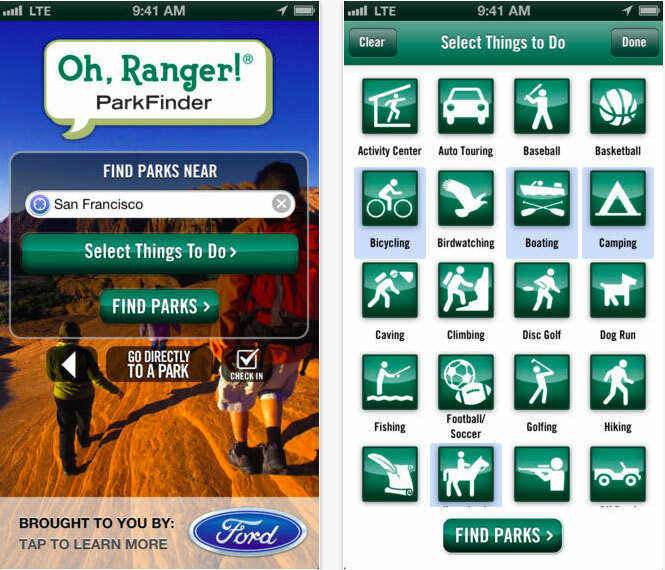 In addition, the app features state parks as well as National Parks. If you have one spot on your phone for a National Park app, this is the one. Ok, first off, I am the first to admit that my family and I do not camp. We tend to stay at the Marriott hotel closest to the park entrance. I trust that everyone knows how to search for a hotel. But if you are the type of traveler that wants to camp, this website is the best place to go to book and reserve your campground site before arriving at the park. Recreation.gov manages the largest inventory of campground sites of Federal Land in America. 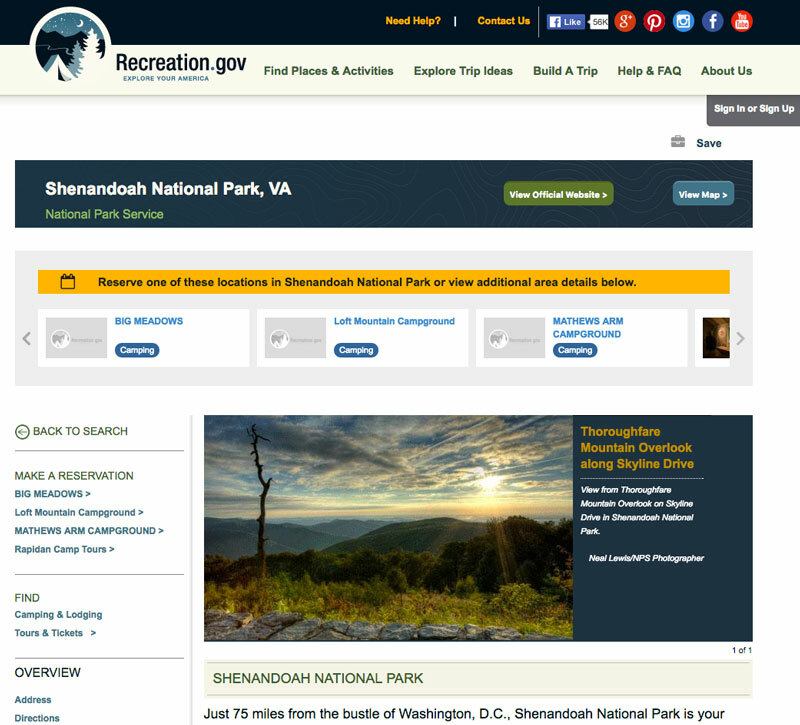 Simply type on the National Park you are visiting and you will be given the results you need! 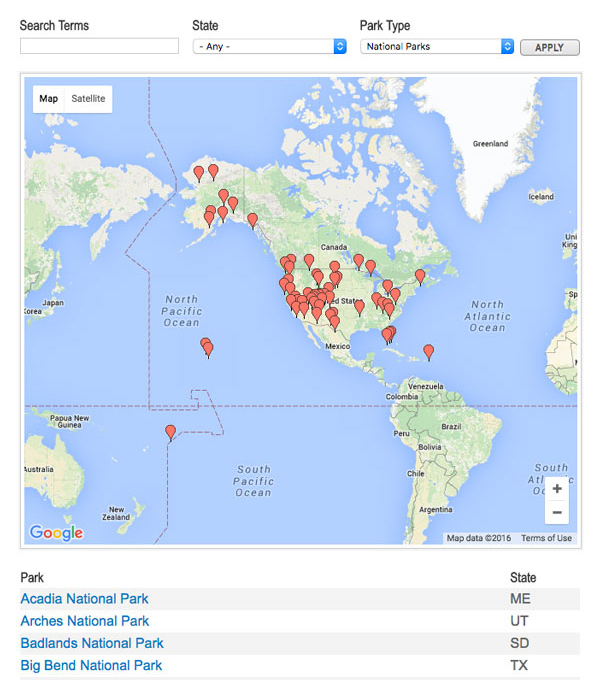 There are many online resources to learn about and read reviews of National Park visits. 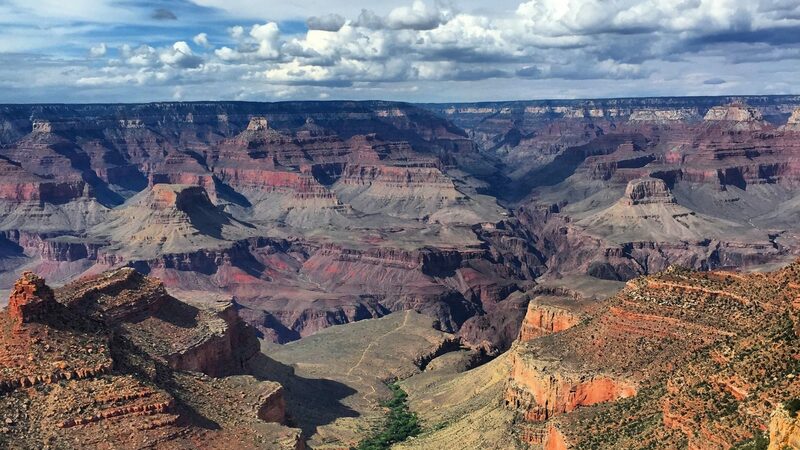 Websites like TripAdvisor and Yelp offer great perspectives from visitors who care enough to complain or in rare cases, praise the great things about the National Parks. I find these reviews helpful but only to a point. It is helpful to have a resource that promotes the great reasons to consider a new park to visit. National Parks Traveler is that resource. They offer free resource guides on their website that curates trip ideas for you! 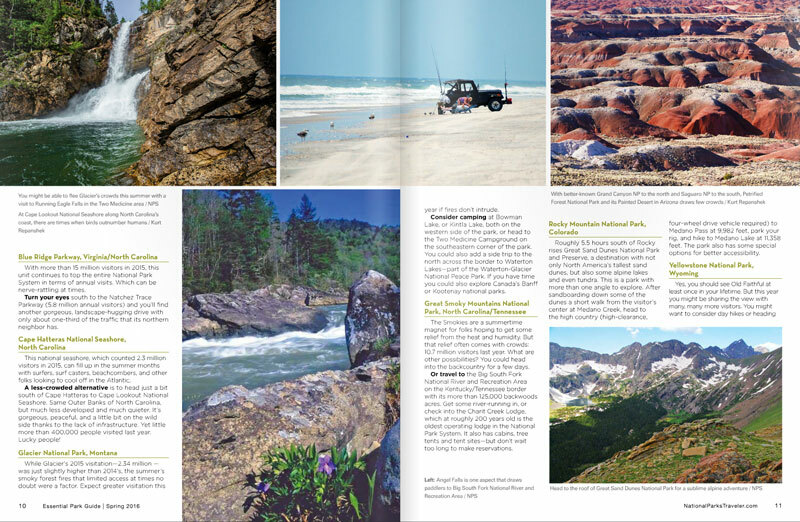 They offer guides like the Spring 2016 Essential Park Guide and the Essential Guide to Paddling the Parks. It is a very entertaining and useful website to read prior to finalizing your plans for your next National Park adventure! We are excited to take our Shenandoah National Park trip in a couple of weeks and then Alaska and Washington State in July! Where will your next National Park Adventure be? View the U.S. Postal Service National Parks Forever Stamps and Stamp Out Hunger May 14th!